Working out of home is tough at best, and without any proper guidance it can be a downright disaster. Many have complained about the inadequacy of compensation, while others find it challenging to be paid by their employers. To find a field where you can get good payments, without the hassle of juicing them out is not that difficult, if you know reliable sources, online or otherwise. Medical billing is one of the most worthwhile jobs that one can do right from the comfort of home. Medical billers are categorically accountable of making sure that everyone is being made payable on the agreed upon terms. Medical Billing process involves effectively communicating with the patients or the health insurance companies, to ensure that all charges are paid timely and without any blunders. But before you invest your money in some lucrative looking ad that promises unbelievable amounts of money for medical billing software, jobs or courses and diplomas, check out their authenticity, because many of these are indeed scams. Medical billing is not a field you can just jump into without any previous training or some prior employment experience. On the other hand if you have professional training for medical billing, it can be one of the most rewarding stay-at-home jobs. A biller holds his responsibility to the patient as well as the physician tending to him or her, and the insurance company who is employed by the patient. Therefore it is a medical biller’s obligation to understand the coding language and the correct manner to interpret medical invoices. Medical Billing and its associated professions are considered to be one of the most rapidly growing prospects in the health care industry. Insurance companies as well as the local governments are outlaying more time and expanses to research and control the claims' frauds, unjustifiable practices, and medical needs disputes. To warrant this need, insurance companies along with physicians, hospitals, dispensing chemists, and other healthcare suppliers are hiring more medical billers to settle the claims. Medical billing is the perfect job for anyone who wants to have a balance of interacting with people via phone, while overseeing invoices and statistics, from their home office or living room. Medical billing as a full time job is a demanding but also a well-compensated job. If you are the owner of a medical billing business or service, the only way to get clients, is to go out and attract them yourself by demonstrating your skills and your reliability. You handle their medical claims for them and offer additional customer services to your clients. It is a time-consuming job that needs dedication, but it pays handsomely if done right. And it shouldn’t take too long before you are questioning yourself about why you didn’t enter this field sooner.. 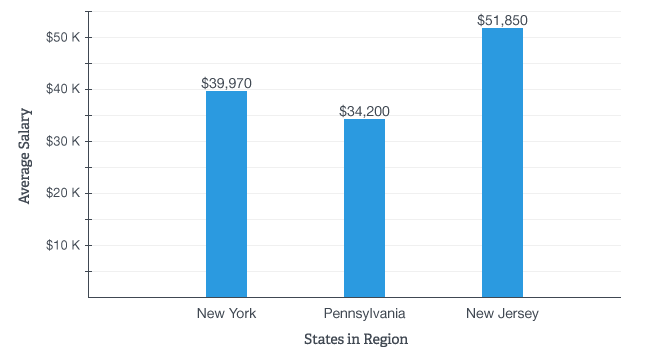 Many owners of billing services claim earnings ranging from as low as $20,000 to as high as $100,000, including the expanses. It also greatly depends upon how long their list of clients are. Medical Billing can also be taken on as a part time job. To start working from home, you need to be employed by a local billing practice or a clinic or hospital. After a predetermined amount of time you are then allowed to work from home to do medical billing and coding. The employers in these cases have a reliable network or telecommuter program already in place to steadily collect and distribute the finished allotted work. Most stay at home billers are trusted employees of their respective employers, be it a hospital, GP, chiropractic, massage and physical therapist, naturopathic doctor or acupuncturist. As for how much one gets paid obviously depends on your employer as well as the amount of work being done. However, on average, the wage usually hovers around the $17 per hour mark. Again, these wages vary depending upon your experience level, the scale of your employer’s clients list, and the practice type. The most promising aspect of medical billing is as your work expertise and experience grows, so should your level of compensation. It is also important to note, that if you are unable to settle a claim, there is a chance you may not be compensated for your time and efforts. In a nutshell, the medical billing from home business can pay handsomely well, but it requires you to either take the time to find your own clients and grow your own medical billing business, or once experienced, prove your reliability to your employer. And then you will have the opportunity to work part-time from home. In either case, you can expect to earn $20,000 to $45,000 annually doing this part-time.